On Friday 3 Feb, we put on our glad rags and attended the 2017 Southampton Airport Awards. Glow were one of four sponsors of the event, celebrating the achievements of Southampton Airport employees and suppliers. It was a fab night, we were made to feel so welcome, and Lisa even presented the Customer Service awards to the very deserving winners. 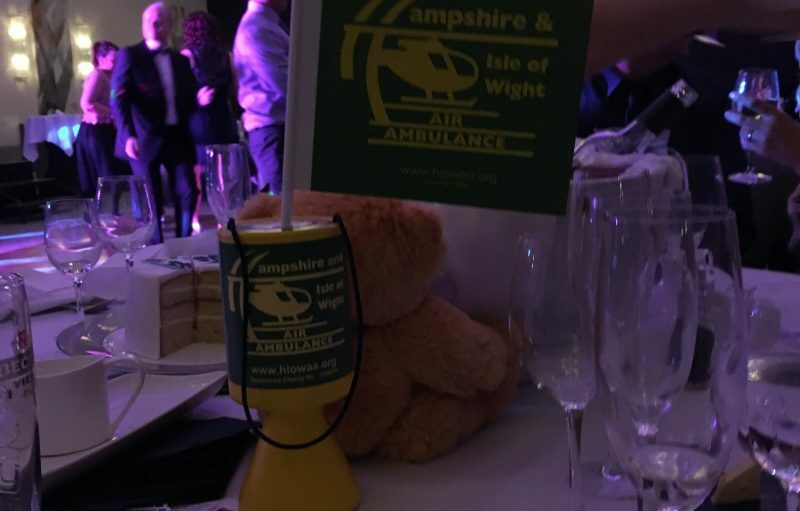 The night also involved raising money for, and awareness of, the Hampshire & Isle of Wight Air Ambulance (HIOWAA) – Southampton Airport’s chosen charity for 2017. Did you know it costs £9000 per day to keep the HIOWAA helicopter in service?? The helicopter always has two doctors on board and carries medical equipment that you wouldn’t get in an ambulance – it’s truly life-saving work and as it’s a charity, they rely solely on donations – That’s a lot of money to raise! But it’s not just donations they need, it’s awareness, and they made a very good point that if everyone goes away from the room and tells 10 friends or family members about the amazing work that they do, and ask those 10 people to do the same, it spreads the word far and wide and hopefully increases the funding available. If you don’t know much about the charity, this video is really worth a watch!